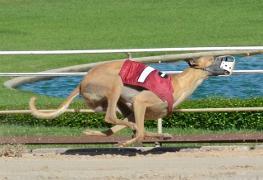 History: Rocky’s entire 61-race career was at Gulf Greyhound Park. His last race was October 6, 2012, and he was “never close” in that race. It was time for him to retire. It doesn’t appear he had much of a heart for racing since he raced at the C and D levels, except for a few races at the B level. This boy will enjoy rockin’ out on a dog bed instead of a kennel. 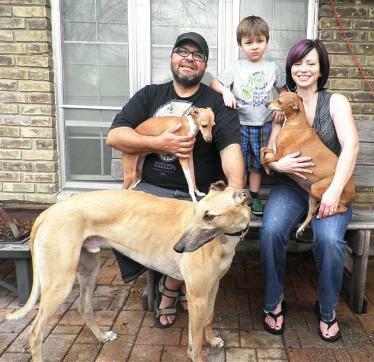 Rocky and his new family, the Marcano's. 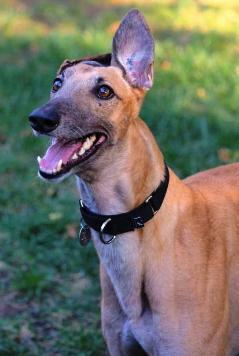 March 31, 2013 update: Rocky now has to Italian Greyhound sisters and a human brother and a new mom and dad. Congrats to all! 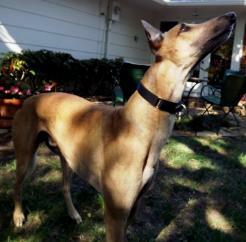 December 22, 2012 update: Rocky is adjusting well in his foster home and settled into routine quickly. 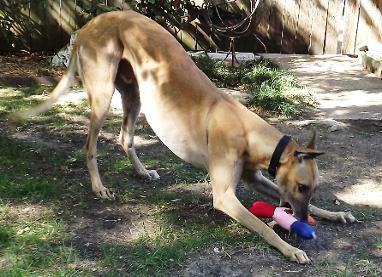 He has made friends with his foster brother and sister and likes to play with them in the backyard. Rocky has his pillow, but is willing to share his with the other 2 dogs. He sleeps outside of the kennel at night and wakes up bright and early for breakfast, ready to go. He stays in his kennel while the foster parents are at work and gets very excited when they come home. He loves afternoon walks with his buddies. 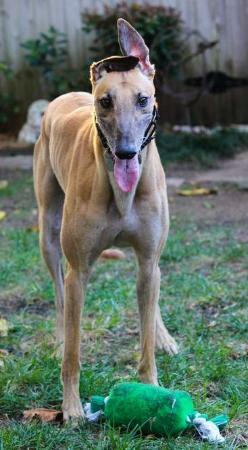 Rocky has been around the foster's children, ages 12 and 7, and does well with them. 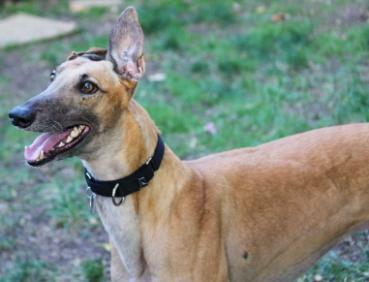 He is curious about the two cats in his foster home and sometimes follows them around, trotting to catch up with them in the house. This appears to be completely non-aggressive, just pure interest and curiosity. For the most part, he pays no attention to the cats. The few times he steered too close, they let him know who was boss. 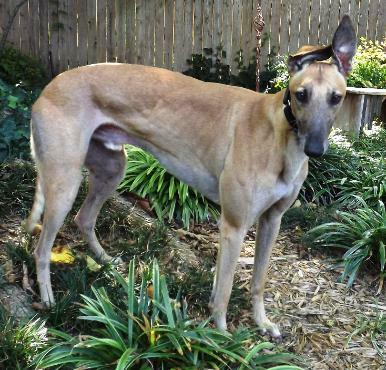 Rocky likes people and still quite dependent, following his foster parents from room to room. The longer his stay, the more relaxed he has become. October 24, 2012 update: Rocky came to TAGS seeking a life of retirement and to find his lifetime home where he can relax and be spoiled.